Braun BN0171 watch review. Lucia Fontana 08/04/2014 Reviews. Always wanted to have an all-black designer watch so I was finally happy to be given the opportunity to review this dream-come-true watch design by Braun. We had a chance to review the new Braun BN0171 watch which is being rolled out in limited quantities for now through NOVA68.com. 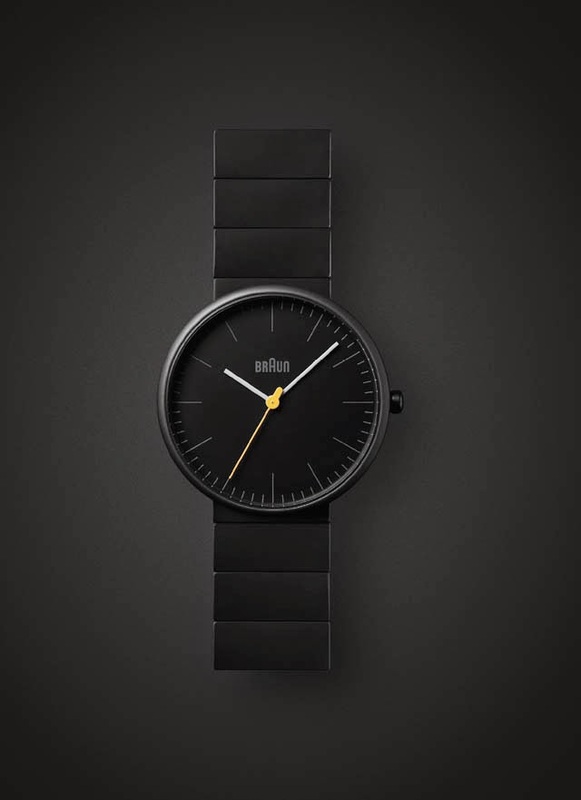 The BN0171 is perhaps the finest watch ever to be released by Braun with its attractive all-black casing and strap that are, for the first time in Braun's history, made of midnight black ceramic. While we love the midnight black edition, a sleek stone grey version is also available. Following the IF and Red dot awards of 2013, this unique watch was recognized once again – this time receiving four German Design Awards from a jury of leading international design experts in 2014. The Braun BN0171 is one of the larger watches from the collection, featuring a classic round 38mm face and for the first time a ceramic bracelet. Braun watches and clocks were awarded a total of four German Design Awards at the annual awards ceremony in Frankfurt on 7th February 2014. Available in black or stone grey, the watch has three hand quartz movement, a ceramic case and a yellow seconds ticker adding a touch of color to the simple face. We found the watch to be easy to wear and operate. The watch has a reasonably slim case profile of 9.5mm compared to other Braun watches. It also matched well with any style of outfit and could be worn comfortable during working hours or on weekends. More specifically, we like its price. The $599 watch you are looking at deliver as much if not more value than an all-black stainless steel rolex datejust and is definitely more attractive thanks to its refined German styling. 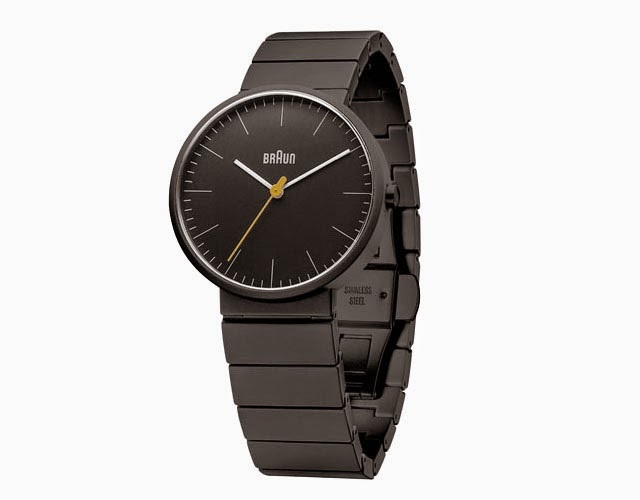 The German Design Award which was given to these Braun watches is an international premium prize, which successfully enhances the standing of both designers and companies. Prizes are awarded to top quality products and projects from product and communication design, design personalities and newcomers, all of whom are —in their own way— pioneering in German and international design landscape. As an industry competition for the industry that highlights participants’ great design expertise, the German Design Award has an excellent public image. This is also down to the reputation of its organizer, the German Design Council, which has been representing and supporting the German design industry with its expertise in all questions relating to design for 60 years now. To win a German Design Award on the occasion of the anniversary of the German Design Council is especially significant – it stands for 60 years of design culture. Iconic German brand Braun returns with a collection of watches inspired by the classic designs of the original Braun design team. Now made under licence by British watch brand Zeon, the collection features a new range of products that pay homage to the work of industrial designers Dieter Rams and Dietrich Lubs, who together designed the famous AB series alarm clock. The Braun Watch Collection is available from NOVA68.